There is just something about tomatoes and bread that humans love. Think pizza, nachos, bruschetta. 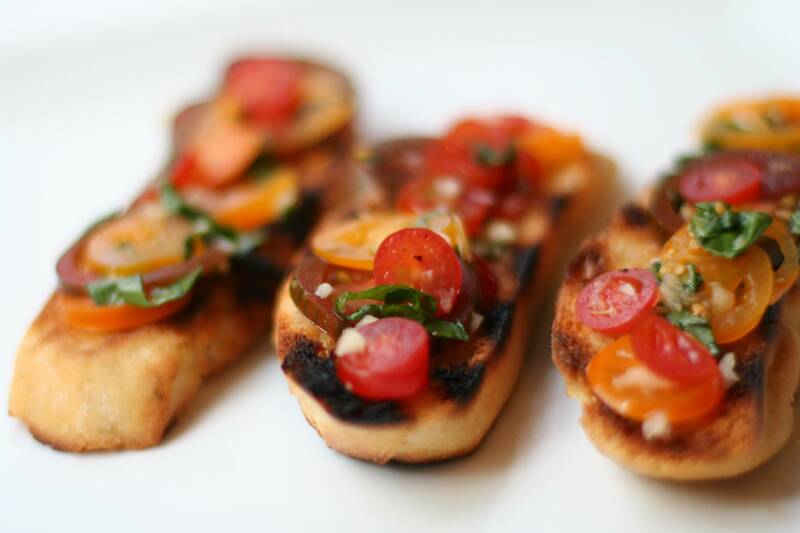 I would have to say my favorite tomato and bread combo has to be a plain and simple Classic Bruschetta. 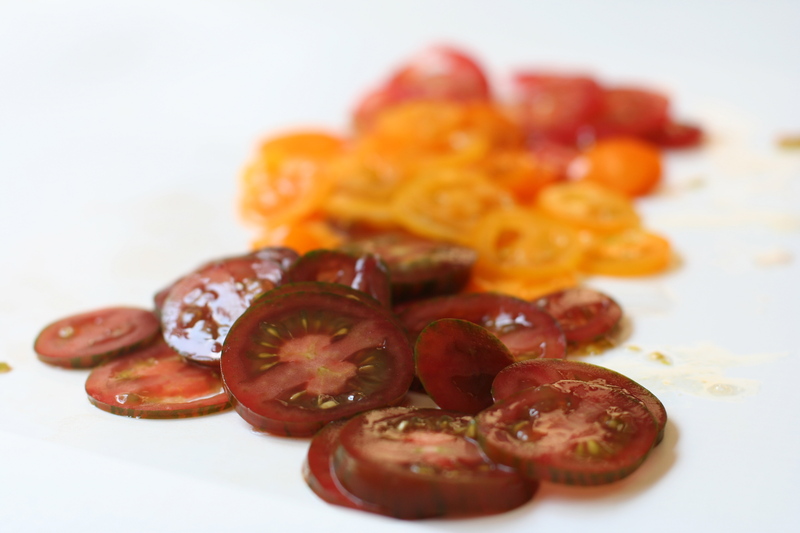 I especially love making it in the spring and late summer when all the exotic tomato varieties crop up. 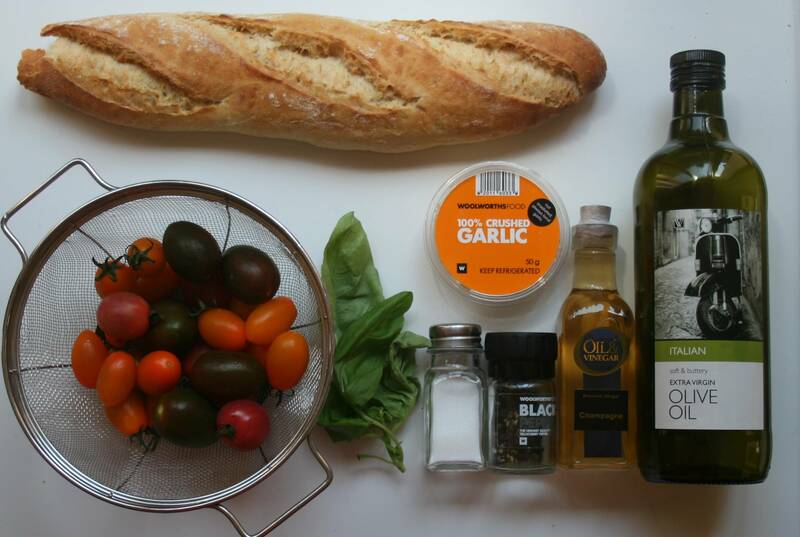 So, here is my take on Classic Bruschetta. To a small dish, add the vinegar, olive oil and garlic. Mix and set aside. With a super sharp knife slice tomatoes. You dont want to slice them too thin or you will end up with just a sliver. So, make the cuts thicker versus thinner. This is one of those recipes where you just kinda add what you think is the right amount. But, just to provide a guideline, for each cup of tomatoes, I use about 1/4 cup of basil, about 1/2 tablespoon of olive oil, 2 tablespoons of vinegar and teaspoon of garlic. But, for a whole loaf of bread, you will need double that mixture. 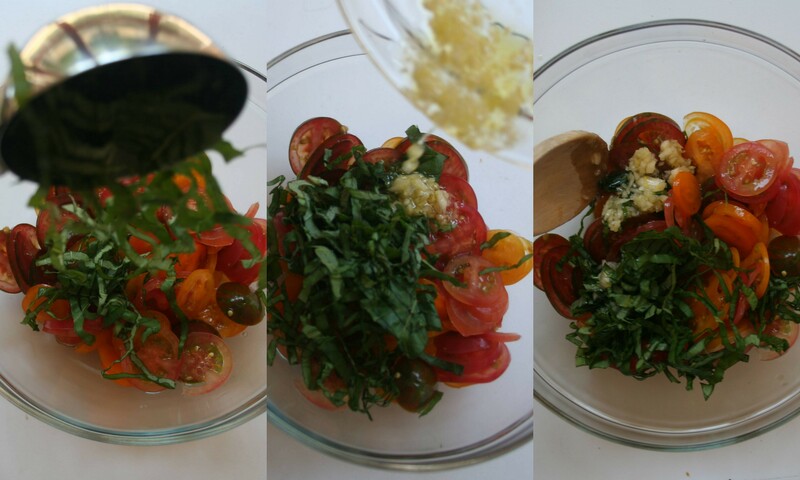 Add the basil to the sliced tomatoes, then pour on vinegar mixture and give it a good stir. Stick in the fridge until ready to top bread. 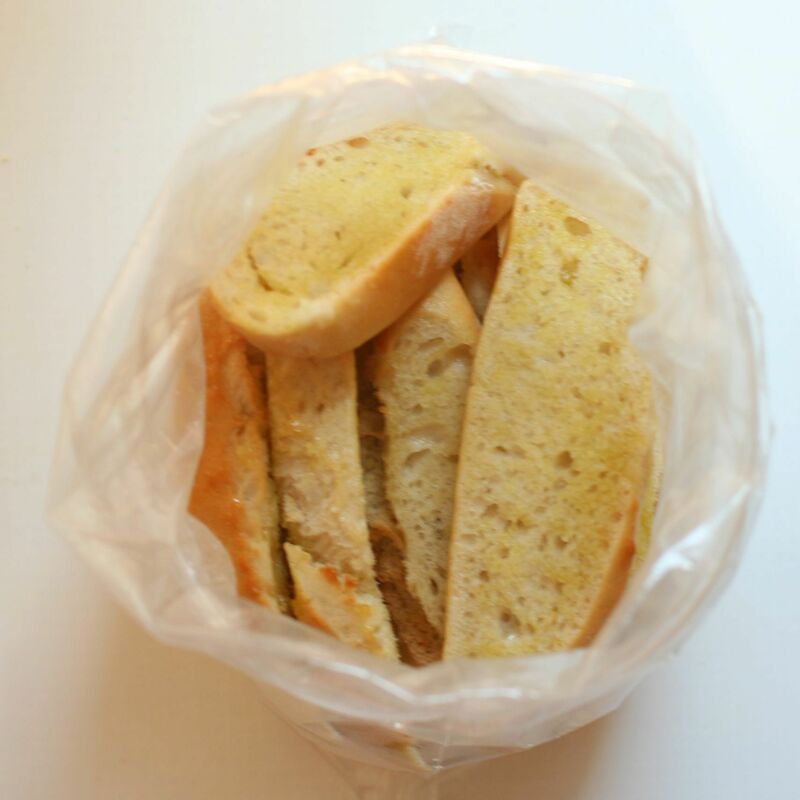 Slice bread with a sharp bread knife. Place half cup of olive oil in a bowl. 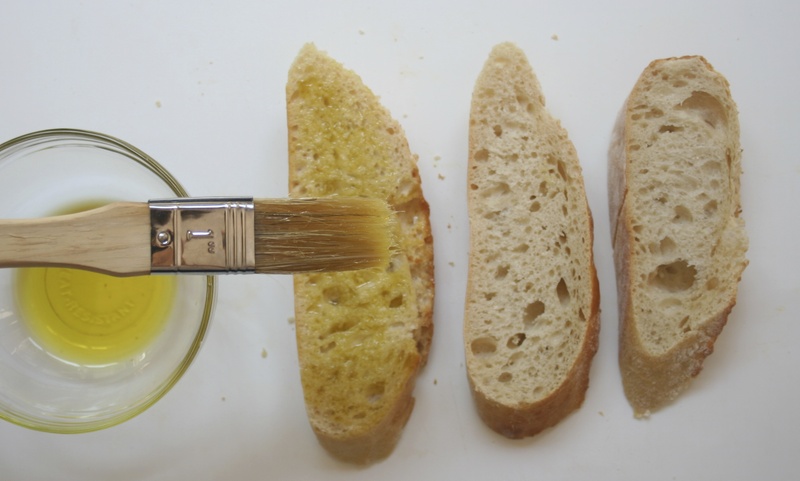 Brush olive oil on boths sides of the bread if you are going to toast on the braii (BBQ grill). If you are going to toast in the oven, you can get away with just brushing oil on the top. * It’s best to make the tomato topping the day of. But, you can prep the bread and pop it in a plastic bag and stick it in the fridge the day before. Place bread on grill. If your coals are pretty hot, flip them after about 30 seconds. Watch them closely – they can scorch pretty quickly. Spoon tomato mixture onto bread just before serving and enjoy!